Happy Fourth of July! As we descend upon Independence Day here in the United States, people around the country are celebrating our great nation. Always patriotic, your favorite rockers are speaking out as well. Several musicians have posted on Twitter wishing America a Happy Birthday and safe celebrations to all their fans. See what everyone from Slash to the Canadian born Nickelback had to say below. 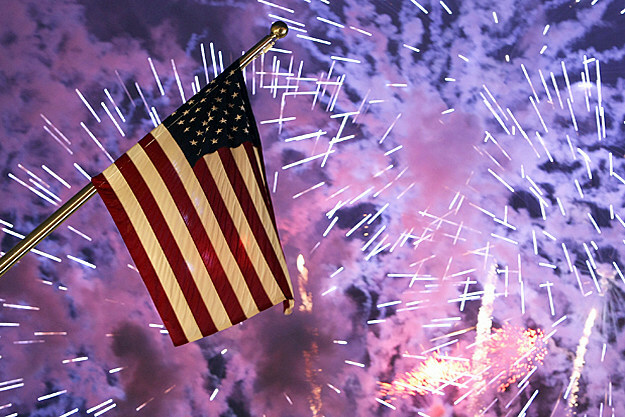 On this Independence Day, we’d like wish everyone a safe and Happy 4th of July! To all our friends in the US, we wish you a very Happy Fourth of July. I WANT TO WISH A VERY HAPPY, SAFE, AND MEMORABLE 4TH OF JULY TO ALL!! Everyone have an Happy July 4th! Much love from all of us! Elias, Dave, Rasheed, Adam and Robb!!! Happy Freaking 4th of July!!! USA! USA! USA! July 4th is the most important holiday to me. Wishing a wonderful holiday to my Countrymen and a happy birthday to my Country. HAPPY 4TH!!! Join me tonight @VinceNeilsGGG after fireworks!! Happy Independence Day everyone. Especially to our troops past and present who serve or have served around the world! Happy Independence Day and thanks to those who have served! Happy FOURTH, people!!!! How are you celebrating?